The California Chamber of Commerce and a broad-based coalition is continuing to seek amendments to pending legislation that makes a start toward restoring flexibility for numerous individuals in the state following last year’s court decision upending the test for determining who is an independent contractor. The CalChamber and coalition support if amended AB 5 (Gonzalez; D-San Diego), which exempts certain industries/professions (doctors, insurance agents, securities brokers, and direct sellers) from the application of the Dynamex Operations West v. Superior Court decision. The CalChamber and coalition appreciate the recognition in AB 5 that the Dynamex decision is not one size fits all and agree the professions identified should be exempted under AB 5. But the Legislature should not stop with selecting just a few professions and not others similarly situated, so the CalChamber and coalition are seeking additional amendments that provide a more progressive and holistic approach to the application of Dynamex that reflects today’s modern workforce. The “B” prong of the test is the most problematic because many independent contractors work in the same line of business as the hiring entity. • A Broader Exemption for Professionals. AB 5 currently exempts doctors, insurance agents, and securities brokers/advisers. Other professionals that should be exempted from the application of Dynamex include architects, engineers, lawyers, real estate agents, therapists, accountants, speech interpreters and translators, court reporters, barbers, hair stylists, and many other individuals who have advanced degrees or are licensed by the state, perform work as independent contractors and want to maintain that status. These individuals choose their own hours, projects, and rate of pay. 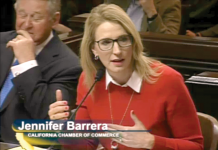 At the informational hearing in Assembly Labor and Employment, even proponents acknowledged that these individuals had greater bargaining power and were not as vulnerable to misclassification as others. Without a broader exemption in AB 5, such professionals will lose their opportunity to maintain their status as independent contractors. The “B” factor prohibits any independent contractor performing work within the usual course of business of the hiring entity, which could include the services provided by many of these individuals for multiple companies. Accordingly, the CalChamber-led coalition requests a broader exemption for professionals than just those currently identified in AB 5. AB 5 exempts direct sellers from the application of Dynamex, with which the CalChamber agrees. Direct sellers control their own schedules with regard to the days and hours they work and make their own decisions regarding to whom they sell products. Numerous other independent contractors enjoy this same control and flexibility and should be able to maintain their status as independent contractors, just like direct sellers. 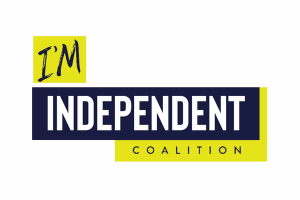 Such independent contractors include: Newspaper distributors, drivers in the gig economy, taxi cab drivers, truck drivers, consultants, travel agents, repair persons, videographers, caterers, freelance writers, photographers, musicians, graphic designers, and many others who all control when they work and for whom they work and they should be able to maintain their status as independent contractors. For example, a restaurant that contracts with a delivery company to deliver its food each week should be able to maintain that contract. An online retailer that receives all its sales through its website should be able to hire a website design company to update its website, even though this service could arguably be within the usual course of the retailer’s business. 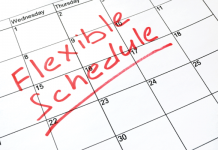 One of the main reasons companies utilize independent contractors is to fulfill a demand for a short-term project. Even though the company may have a full workforce, an unexpected order or contract may require immediate, extra workers to satisfy the deadline for the project. “Hiring up” in such a scenario does not make sense for either the company or the individual, as the demand for the work is only temporary. An example of this unexpected, immediate demand for help, is when the devastating wildfires spread throughout Northern California. There was an immediate need for additional independent owner/operators of trucks that could assist in hauling debris as well as transporting tools and supplies. Companies need the flexibility to manage these unexpected increases in demand through the use of independent contractors. AB 5 should be amended to include this exemption. The CalChamber and coalition expressed concern that the retroactive application of the Dynamex decision is further increasing litigation. Dynamex has already increased litigation costs for individual claims, class actions, and representative actions against California businesses of all sizes. The threat of litigation is exacerbated because some California courts are applying the Dynamex decision retroactively—up to 4 years back. Retroactive application means that companies which were playing by the rules and classifying workers under the previous Borello test are now facing even more litigation due to the potential retroactive application of Dynamex. For those industries/professions not exempted from the decision, the retroactive application is significant. California is estimated to have nearly 2 million residents who choose to work as independent contractors. That figure is a conservative one as the 2018 U.S. Bureau of Labor Statistics Economic Release did not include the number of individuals who supplement their income with online platforms. 79 percent of independent contractors prefer their status over traditional employment, according to the Bureau of Labor Statistics Economic Release (June 7, 2018). Furthermore, in a California August 2018 survey, 93% of independent contractors said they would opt to remain independent contractors rather than become employees (EMC Research August 2018). Failing to further amend AB 5 with the additional exemptions listed above has the potential to eliminate the vast majority of independent contractors in California. This not only hurts the business model of a broad swath of industries and billions of venture capital dollars that are increasingly invested in businesses, but also it hinders California as a national leader in the innovation economy. AB 5 passed Assembly Labor and Employment on April 3 and will be considered next by the Assembly Appropriations Committee. The CalChamber looks forward to continued conversations with the author and supporters of AB 5 to further amend the bill to provide a more progressive and holistic approach that fits today’s modern workforce. To stay up to date on the effort to restore worker flexibility in the wake of the Dynamex decision, visit imindependent.co.